AWESOME. Those look so great on you, and shoes make GREAT inspiration. ha. 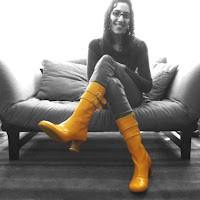 you're one of my style inspirations gigi....and i love that those boots make you think you can do anythign! Wow, has a talent scout called yet? And I love what you did with the photos. I can totally relate! 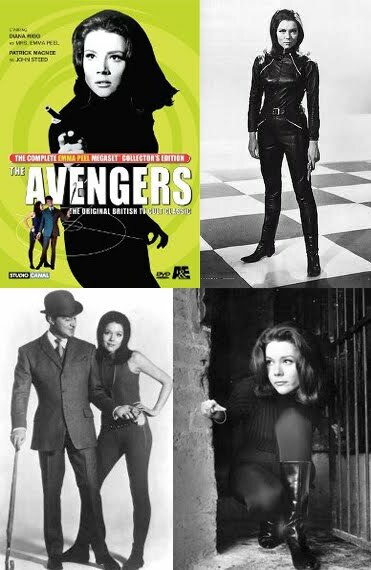 Though my Emma Peel obsession competes with that of Agent 99 from Get Smart (which explains my growing collection of trench coats - good for spying on bad guys). 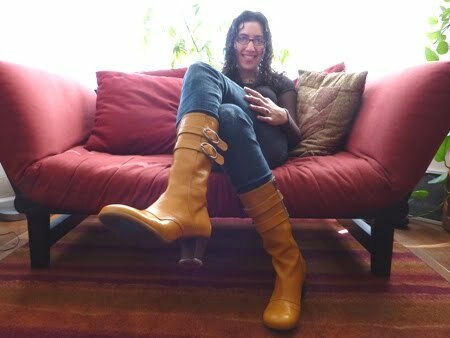 And those boots are GREAT. We might have fought for them if I'd been in the same store! I was more an Agent 99 as Diane said:) But man wouldn't those boots look awesome with a trench coat? Oh yeah! Hmm... So it looks like I'm going to have to check out some old Get Smart episodes from Netflix. I haven't seen Get Smart since I was really little! I remember my dad loved the show, but he also loved Star Trek and The Rockford Files, which I hated at the time (I know, I know, but I was a little kid).